Astrology makes navigating your love life easier. Wouldn’t it be amazing if you could know what August has in store for your love life? Thanks to astrology, you can! On the one hand, Jupiter will be in Leo until August 11. This makes it a good time to open your heart and entertain the possibility of real love. Fire signs and air signs will get the most benefit from this cosmic energy, but Jupiter will move into Virgo after that, forming a conjunction with Venus. As this happens, romance becomes less about fiery passion and more about stability and support, giving water and earth signs a push towards making romance a priority. While your August horoscope won’t replace a detailed astrology reading or a visit to your astrologer, it may give you a different perspective into how your love life will go late this summer. Aries is a fire sign so you can expect a steamy late summer, at least until August 11. After that, Jupiter moves into Virgo, an earth sign, and fire and earth don’t mix. This could lead to issues in your life, and especially the bedroom, but it is also a great time to cast off any baggage you may have held on to. Taurus is an earth sign. While the first part of August may leave your heart string holding on for dear life, after a short period of tumult, you will enter a steamy romantic cycle. In fact, the planets are in a sort of alignment that comes along only every 12 years, so make the most of it! As lucky planet Jupiter moves into earth sign Virgo, air signs like Gemini will find their loves lives get all shaken up, and that’s okay! It will be a time for balance and centering in romance. You will reach a point where you can begin to learn what it means to be someone’s partner all over again. 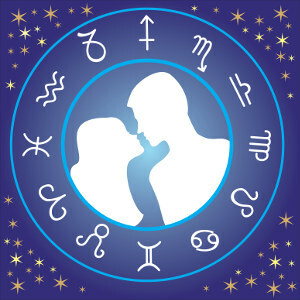 Water-sign Cancer has a natural connection to Virgo, an earth sign, so you will see a boost in your love life as Jupiter makes an appearance. The later half of August will be the perfect time to open up to someone special. Fire-sign Leo will enjoy fireworks in the romance department for the first part of August, when Jupiter remains in your house, but after that, things may get stale. As Jupiter moves into water sign Virgo, things feel off. Use that time as an opportunity to explore those areas of opposition. If you are born in Virgo, you are in for an incredible August. Lucky Jupiter will move into your sign this month and the results will be nothing short of amazing. Expect to be lucky in love and remember, the planets only align like this every 12 years. Air-sign Libra will enjoy a fiery start to August but things will cool off around the 11th. Add to this some big changes that came through in your life around April, when a lunar eclipse passed through your house, and this is a transition period. Embrace it! Scorpio is a water sign. For the first part of August, the sign will be in opposition to Jupiter in Leo, but wait until after August 11. The planet of luck will move into Virgo, an earth sign, and things will start to feel stable, giving you an anchor for your notorious passionate nature. August will be hot and steamy for fire-sign Sagittarius but expect things to cool off towards the end of the month when Jupiter enters earth-sign Virgo. Don’t fight it. This is a great opportunity for letting go of a bad relationship. Earth-sign Capricorn will have a great August as Jupiter moves into fellow earth-sign Virgo. You will feel strong and calm, and ready to experience a deep level of intimacy with a lucky person this month. Air-sign Aquarius will have a steamy couple weeks in early August while Jupiter is still in Leo, but as the lucky planet moves into Virgo things may become rocky. Use the natural discord to let go of something that is ion your way romantically, be it an argument you can’t drop or a person you need to quit. The planets will be in alignment for water-sign Pisces after the 11th of August. Pleasure, love, romance, and deeper intimacy will be yours in great abundance as long as you keep your heart open. What could be better than summer love, especially late summer! The sun is warm and the nights a little longer, making it the perfect setting for romance.